For years the official Royal family residence in Northern Ireland, Hillsborough Castle in County Down, remained closed to the general public due to security concerns. When eventually the doors were opened to visitors, the clientele were said to be of the 'greying generation.' Chris McCullough visited the historic estate to investigate plans to transform the site into a visitor attraction appealing to a wider audience. Dating back to the late 18th century, Hillsborough Castle started off really as a 'big house' and home to the Hill family - Marquesses of Downshire - which their descendants eventually sold in 1925. It was bought by the British Government for around £24,000 - which is somewhere in the region of £1.3m in today's money - destined to be the official residence of the Governor of Northern Ireland. Today, the estate is owned by the Department for Communities and Local Government but, since April 2014, it has been managed by independent charity Historical Royal Palaces which has embarked on an ambitious £20million regeneration programme of both the house and the rolling gardens. 'The Castle@, as it is better known, serves as a home to the Secretary of State for Northern Ireland, and members of the Royal family when any of them are visiting Northern Ireland. It also hosts a garden party once a year, often attended by various members of the Royal family to recognise the sterling work of people in Northern Ireland, many of whom have contributed to their community or local charities in some way. However, the big goal is to encourage more of the local public and tourists from further afield to visit Hillsborough Castle and to make it an enjoyable experience for a wider age range, hence the major capital project. Hillsborough Castle Estate extends to 110 acres ,plus there is another ten acres across the road in what is known as the fort. 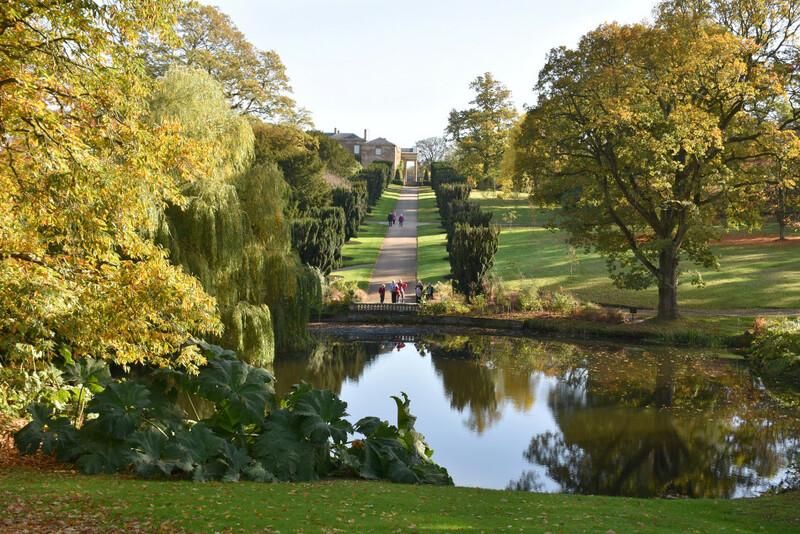 The main grounds lie conveniently around the house itself and form a number of attractions, including a walled garden, a lake and a number of picturesque walks. Heading up a team of ten full-time staff and three other part-time workers as the Gardens and Estates Manager is Stephen Martelli who has worked in this position since Historic Royal Palaces took over the management in 2014. With over thirty years' experience in horticulture and estate management, Stephen is the perfect fit to take the new development to the public when it opens in April 2019. 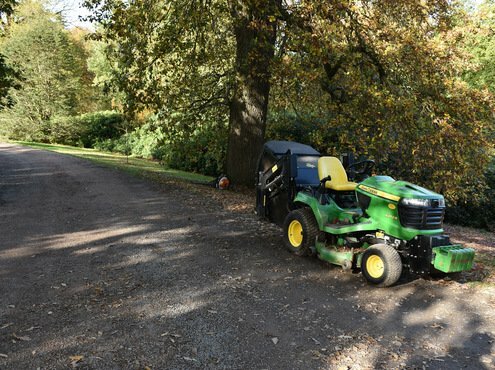 "For easier management, the entire estate is broken down into twenty-nine smaller character areas that require differing methods of management," said Stephen. 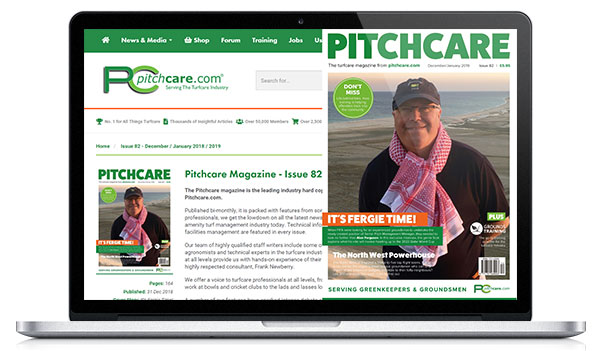 "Each area has its own management plan in which we assign the number of hours required and the skills needed. We then have a total number of hours required for the entire site on an annual basis which helps me control staff numbers, their holidays and other aspects." "There is also a plan (or a vision) dedicated to each specific area for us to aim for in line with the overall focus of the estate," said Stephen. An eight acre lake sits amongst a number of garden areas in the estate attracting numerous wildlife and fish species. 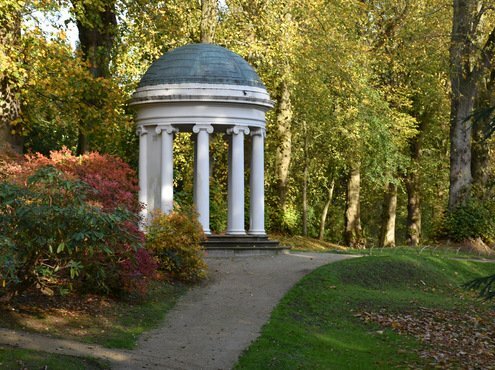 Hillsborough Castle's historic gardens, which have been developed since the 1760s onwards, offer visitors unique ornate formal gardens, woodland and meadows, rare plants and trees, to name a few. 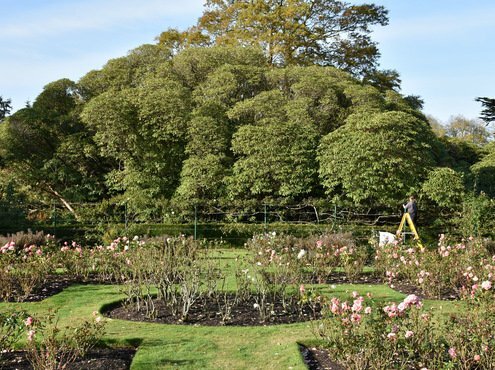 There is even a giant Cornish Red hybrid rhododendron bush sitting opposite the castle measuring forty metres long and thought to be one of the biggest examples in Europe. 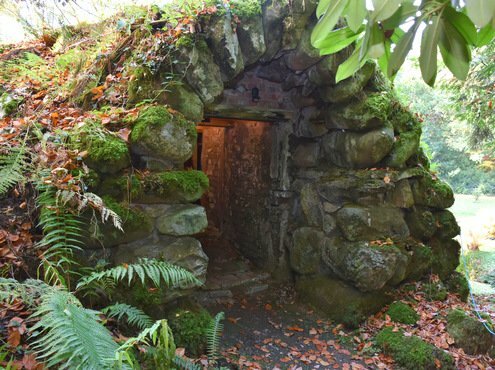 Visitors can gently stroll through the famous Yew Tree Walk, the Moss Walk, and now the Lost Garden and take in the ancient ice house and Quaker burial ground. The new project plans include the opening of the four-acre 18th-century Walled Garden which is the team's most ambitious project to date. One of Stephen's team, Adam Ferguson, looks after this garden which used to produce fruit, vegetables and flowers. 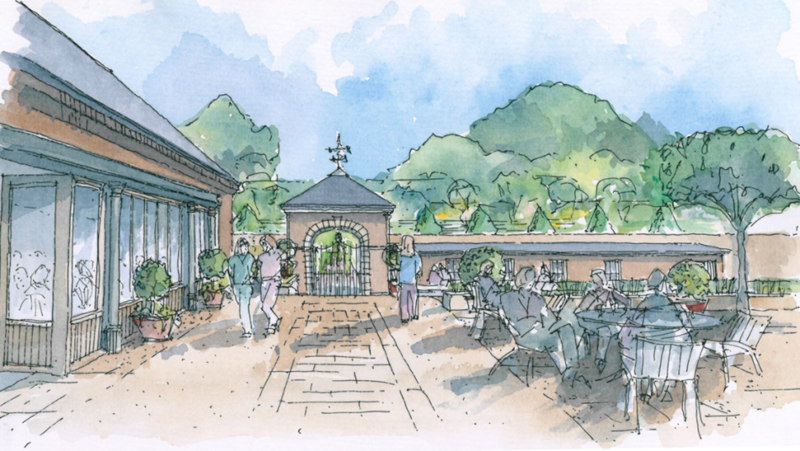 As part of the Hillsborough Castle Project, the Walled Garden is being restored creating a beautiful working and productive area, complete with dipping pond, crop rotations, seasonal produce, potting sheds, herbaceous borders and an apple orchard. 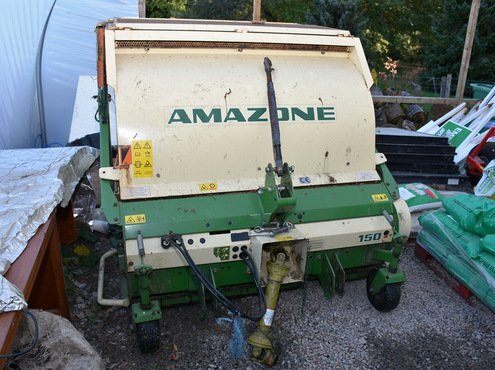 Adam said: "Gardening has always been a passion of mine since a very young age. I have always been really interested in getting stuck in and working outdoors." 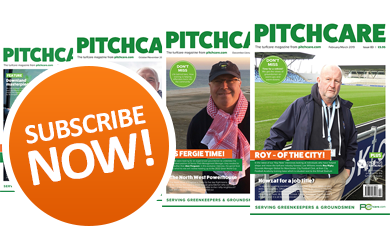 "I worked at the grounds of Hillsborough Castle for two years before taking on this current role as Keeper of the Walled Garden. It is not a restoration of the original garden, which was built in the 18th century, but is, in fact, a re-imagination of how the layout and the paths were hundreds of years ago. 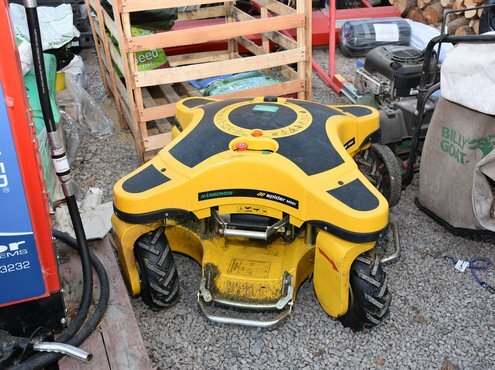 "It's nice for us to use the methods the gardeners would have used back then, but also for us to bring in the more modern techniques." "We want to incorporate methods such as using straw to keep the strawberries from sitting on the soil instead of using a membrane that would be more common now." "An interesting point of the Walled Garden is the apple and pear trees that grow around the walls, which were planted over fifty years ago and still produce a lot of fruit." "It's been super to watch this garden develop and I know it will form an interesting venue for the visitors next year," he said. It is hoped the gardens will provide enough food produce for the cafe located nearby to ensure visitors have seasonal produce all year round. A range of activities are also being developed in the Walled Garden aimed at engaging a wider audience and supporting charitable organisations, schools and partner activities. These include developing skills through training in horticulture, traditional craft and heritage skills, learning about food and the environment, teamwork and confidence building activities. Much of the Lost Garden had been overgrown and difficult to access, hence the name. But Stephen and his team are helping to restore this once forgotten beauty which is located south-west of the castle itself. 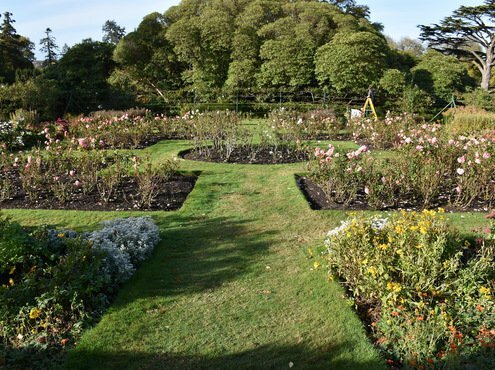 Stephen said: "Remnants of an ornamental, exotic planting scheme can still be seen, but much of the garden had been overgrown and difficult to access." "Now we're restoring this magical hidden gem with the aim of firing imaginations and curiosity through a range of interpretation and learning programmes that bring stories to life through activities, trails and carefully-integrated natural play features." 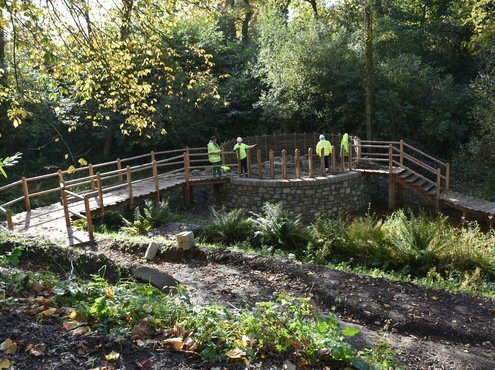 "We are introducing new paths, bridges and trails to allow visitors to fully explore the extensive grounds which will incorporate three main areas: southern hemisphere planting with a restored island and bridges, wetlands and walkways, and a Chinese glade." "It is our aim to complete this project in phases with the first part being unveiled in April next year," he said. Sitting high looking over part of the lake and onto Yew Tree Walk is Lady Alice's Temple where former resident and Secretary of State, Mo Mowlem, once found welcome respite from the pressures of Northern Ireland politics. Historically, the temple was given as a wedding gift to Lady Alice Hill by her brother, the 5th Marquess of Downshire in 1867. This temple is also an ideal spot for wedding ceremonies to be held taking in the idyllic settings of the gardens from a number of angles. 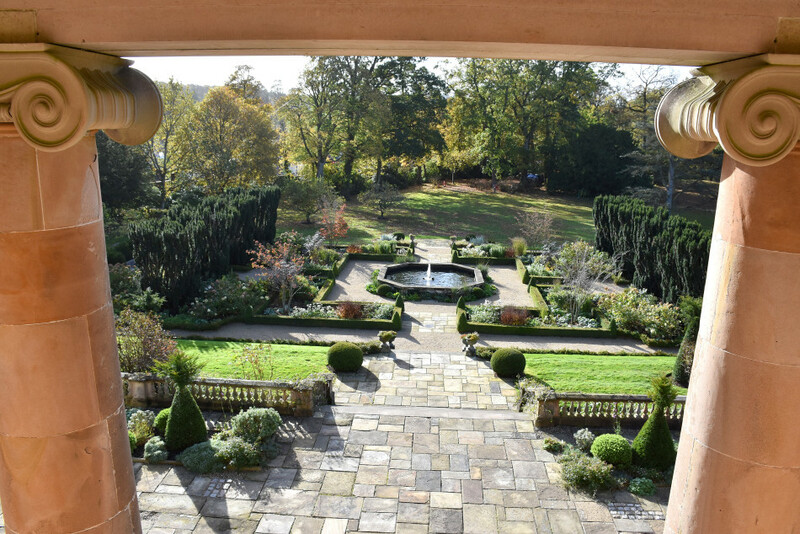 One of the other treasured areas within the estate is the beautiful Granville Garden which was created in the 1940s and 1950s by HM the Queen's aunt; Lady Rose Bowes-Lyon, who was the wife of the Earl of Granville, the second Governor of Northern Ireland. According to the records from the estate, HM the Queen, as a then young princess, and HRH Princess Margaret, would visit their aunt and uncle at Hillsborough Castle. Running away from the main castle building towards Lady Alice's Temple is Yew Tree Walk, which also passes the Quakers Burial Ground. This path, lined with Yew trees, was the original road to Moira village which passed in front of the house and into The Square. 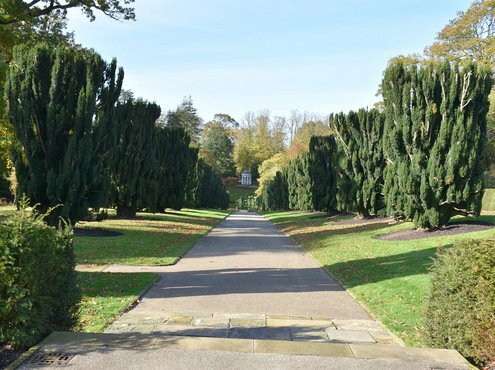 It was enclosed during the mid-1800s and is now named after the paired Irish Yew trees that line the path. On the other side of the temple is the idyllic Moss Walk, so called because a canopy of lime trees run along this path encouraging moss growth at foot level. 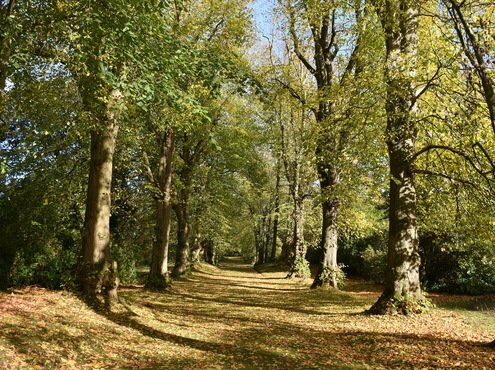 Stephen said: "In this area, we were able to identify historic pathways dating back to the 1770s that led through the lime trees and, subsequently, we have replaced those walkways to give visitors another dimension to their visit." "It really is a beautiful area, made all the nicer when the sun shines through the trees as you walk past. There are quite a few significant plants in the Moss Walk that we endeavour to protect and thus opened the paths to encourage walkers to stay off the ground beneath the trees," he added. On the structural side, in the gardens the team is quite proud that the old toilet block has been developed into a luxurious building for the visitors to spend a penny should they need to. 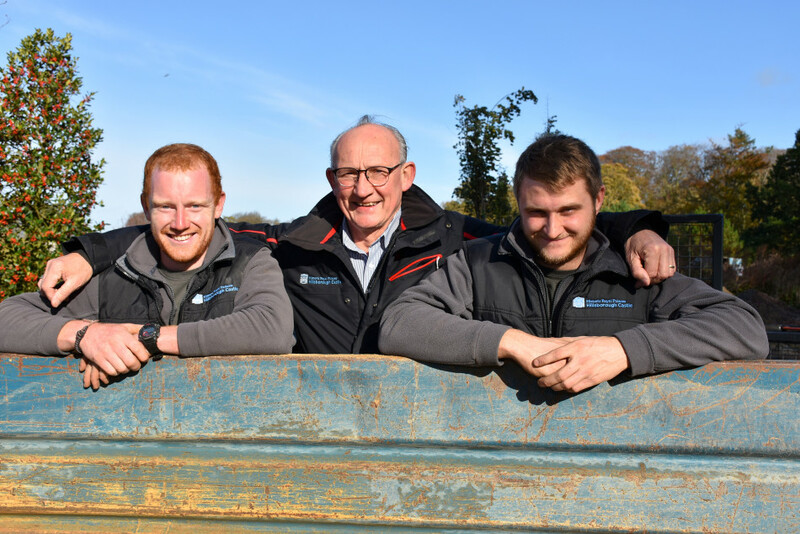 Although Stephen's team are kept really busy during the year, this new project will provide them with a super opportunity to apply their skills in maintaining and developing each area of the estate. 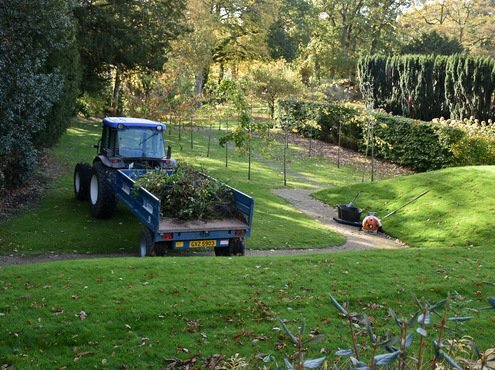 Outside specialists are brought in to manage the trees, should they require any attention, but Stephen and his team can comfortably look after any fallen limbs or remedial work. There are also hundreds of volunteers who give up their time to come and help out, including students from the local agriculture and horticulture college. "There are regular volunteers who come in and help us at different stages throughout the year," said Stephen. 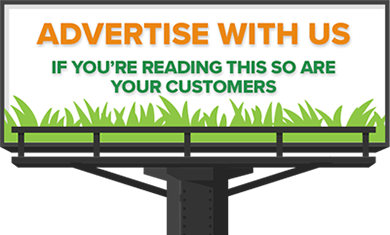 "Their service really is invaluable." "During this project, we had 100 volunteers pitch in and plant 33,000 bulbs around the estate. Plus we have regular students from Greenmount College who practise various skills in the gardens under tuition from their lecturers and our staff." 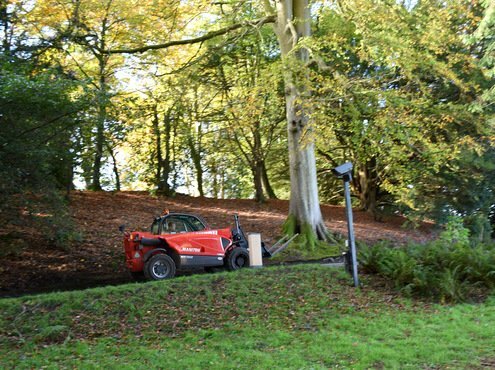 Another important part of the new project at Hillsborough Castle Estate is a biodiversity plan with the aim of encouraging as many areas of flowers and fauna as possible throughout the estate. "In each area, we will be encouraging birds to settle there and building bat boxes as well," said Stephen. "Measures will be taken to protect ivy and other plants." "The biggest push will be to ensure there is a habitat for a diverse range of wildlife in the estate. There are already pine martens here, which has resulted in a natural decline of the grey squirrel which is probably our only pest here, when in high population numbers." "We also want to improve the overall water quality of the lake to attract more wildlife such as otters and kingfishers." "In addition, there is a wildflower meadow, or coronation garden, newly created by sowing 330kgs of seed onto twelve acres. This was an effort to recreate a natural meadow that was once common in Northern Ireland during the 1950s and 1960s." "Here we took soil samples and had it analysed before sourcing the wildflower seed to sow and it will be a real attraction when in full bloom," he said. To make access easier for visitors, the project has constructed a brand new nine acres car park with entry via the main A1 dual carriageway which runs adjacent to it. It has space for 314 cars, a bus park for twelve coaches and an overflow area to cater for another 600 vehicles. 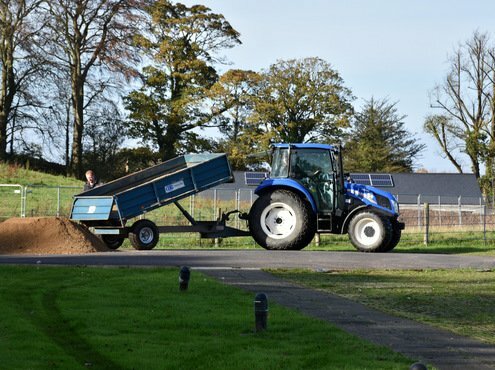 The team has fitted out the car park with Golpla, a rigid, high quality recycled plastic grass and gravel reinforcement and erosion control system, designed to perpetuate the growth of grass under conditions of intensive vehicular or pedestrian traffic. 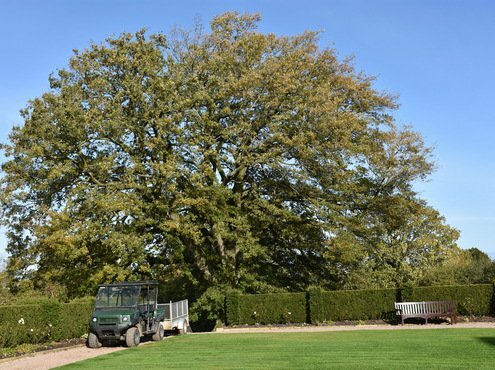 A mix of native deciduous, hawthorn, alder, hazel, rowan and sorbus trees have been planted throughout the car park to help it blend in. In this car park the development crew also found an old agricultural building, which is being preserved and incorporated into the layout of the car park. If any visitor requires mobility assistance, or for those who are time restricted, a three-carriage people-mover with hydraulic wheelchair access will ensure visitors can travel quickly and easily between the upper and lower end of the estate, with a journey time of approximately five minutes. A new visitor centre will greet everyone after they park their cars or disembark public transport. A new restaurant will be in place at the visitor centre operated by Yellow Door from Belfast and a shop in situ as well. Attracting a new demographic of visitor to Hillsborough Castle Estate is the main goal for the new project. In a normal year, there are around three to six thousand people visit Hillsborough but, with the new estate development completed, Historic Royal Palaces want to increase that to up to 200,000 visitors per year. This feat can be easily achieved with the new entrance to the site coming off the A1 carriageway which is the main route between Belfast and Dublin. Stephen added: "The new project is designed to help us change the current mentality of people that Hillsborough Castle is just for older people to visit. We want to make this an attraction for all the family with children's designated play areas and educational tools to cater for the younger visitor." "Our location means we are sited so that 75 per cent of the Northern Ireland population can get here in around 45 minutes." "Plus, with Dublin only being just over one hour away, that opens up a much larger area for us to attract visitors from. There are 105 counties in the UK which have easy transport links to Belfast and seventy cruise ships that dock at the city each year." 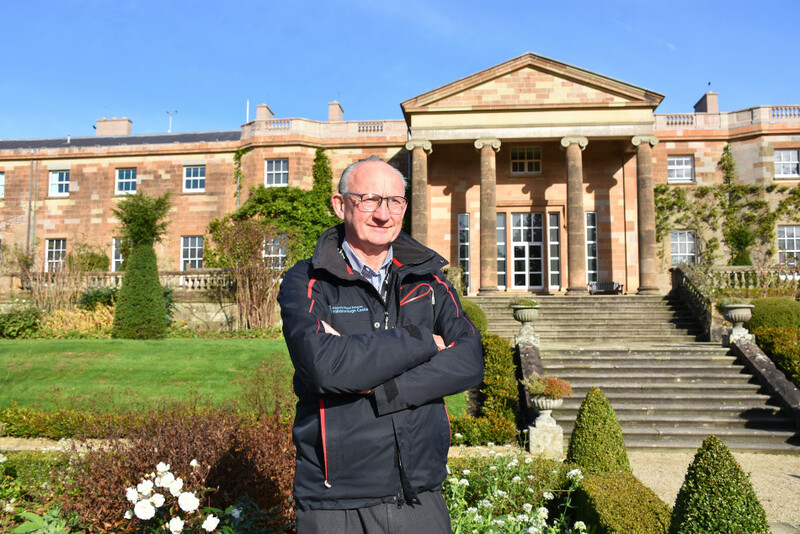 "Those are all encouraging statistics for us to ensure Hillsborough Castle Estate looks the best it can after this redevelopment and that we maintain it to be one of the most popular visitor attractions in the country." "It really is time to unlock this hidden gem in the Historic Royal Palaces portfolio and make it the superior visitor attraction it deserves to be."